You’ve had a great long hike through one of Alabama’s national forests or wilderness areas. You’ve been on the trail for a couple days, maybe even a week or more, and you can’t stomach the thought of more freeze-dried food and oatmeal. You’re ready for some real grub. There’s something about hiking that gives us a better appreciation for food, and that first meal back in town—whether it’s at a chain restaurant or a mom-and-pop diner—just tastes so much better. If you hike in Alabama you’ll discover that the state is not only home to many great trails, but also many awesome places to eat at the end of your adventure. To help you find the perfect post-adventure meal, we’ve highlighted some of our favorite recreation areas and great food stops that are nearby. How can you go wrong with a good old-fashioned drive-in? At the Cardinal Drive-In in Moulton there’s nothing fancy—just good hot dogs, hamburgers, and sandwiches with chicken, steak, or catfish. Drive up to the huge menu and place your order. Don’t forget to add a little dessert like the Cream Pie Shake, the perfect post-hike treat. Don’t want to eat in the car? No problem. There’s outdoor seating, perfect if you have Fido along. Barbecue Nachos? Oh, yes. But that’s only the beginning at Backwoods Grill & Fish Camp in Phil Campbell. Begin with a starter of their unbelievable fried pickles, and then order more from the three-page menu. You’ll have a hard time deciding what to have. Will it be fried or grilled catfish? How about a sizzling ribeye steak? Maybe a hearty Chili Burger? Or maybe a little Alabama barbecue? Whatever you choose, you can’t go wrong. Some of the best food can always be found in what everyone lovingly calls a “hole in the wall,” and that’s true at Campbell’s BBQ in Talladega. Campbell’s has an incredible smoked chicken salad, pulled pork sandwich with tangy sauce, and a three-bone rib sandwich. While many barbecue joints serve their sauce on the side, Campbell’s pours it on. If that’s not the way you typically like yours served, give it a shot anyway, because there’s a good chance you’re going to love it. Oh, and remember, there’s limited seating, so you may want to take your meal with you. Every day there’s a new special at Tina’s Homecookin’ in Talladega, and we mean special. It’s true home cooking, what you remember growing up, at its best. One day it might be meatloaf, chicken and rice, or Brunswick stew. The next day chicken casserole, fried pork chops, or chicken and dumplings. Pair your meal with a little comfort food, like a side of homestyle mac and cheese or broccoli casserole. Looking for something quick and easy? Then head over to historic Tuskegee and the Tiger Pause Café. The name comes from the fact that the restaurant is just down the road from Auburn University and its tiger mascot. The café is located in a historic building in the city square and offers a simple and straightforward menu with delicious sandwiches and hot dogs, including the loaded Chicago Dog that’s brimming with chili, cheese, slaw, sauerkraut, and peppers. 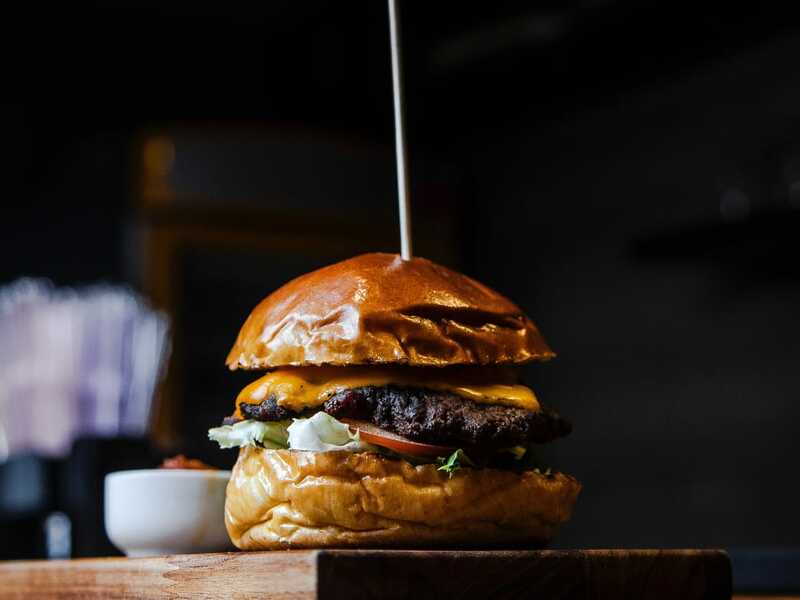 If you’re looking for something vegetarian, orde the Charlie T. Burger or the Over the Hill, and then wash it down with a rich fruit or milk smoothie or caffe latte, chai tea latte, or espresso. Another great sandwich shop in Tuskegee is the Blue Seas 2. Local favorites include the salmon burger with cheese on a wheat bun and the Tuskegee Philly, which is a twist on the traditional Philly with either fried or grilled fish, peppers, and cheese on a wheat roll. A super-friendly staff and true down home cooking and dining await you at Lottie’s Restaurant in Marion. They serve up generous portions of some of the best fried chicken and catfish in the area, all lightly breaded. The chicken is crispy and juicy, the catfish light and flaky. All delicious. Add a side of fried okra and potato salad or baked beans and you’ll almost be in heaven. Almost. You’ll get there after trying one of their homemade desserts. In a little corner of Marion on Highway 183 you’ll find a place that’s the perfect hiker eatery—the Shack. There’s nothing pretentious about it. 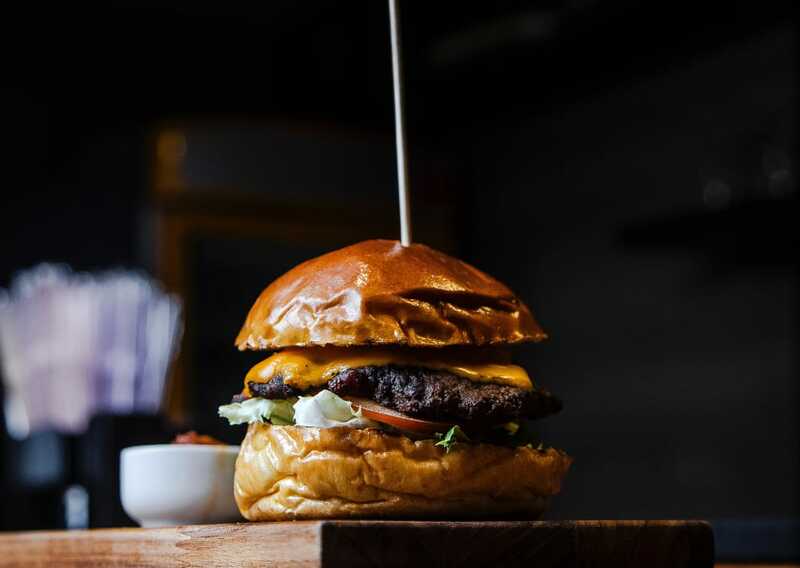 The Shack has simple, big—and we mean big—juicy hamburgers, plus a variety of sandwiches, such as grilled cheese, chicken salad, or your basic bologna sandwich, and fried offerings of catfish and chicken tenders. David’s Catfish House is a small chain with three locations, including one in Andalusia, near the Conecuh National Forest. Loaded with plenty of Southern charm, David’s specializes in fresh Gulf seafood direct off the boats in Bayou La Batre, Ala. Duck into a platter of fried oysters, boiled peel-and-eat shrimp, or amazing fried blue crab claws. Of course, you can feast on the signature menu item—farm raised Yazoo Mississippi catfish lightly battered and fried up just right. And don’t forget to add a side of their tangy house-made coleslaw. Not into seafood? Then try their mouthwatering hand-cut, 13-ounce ribeye steak or the 10-ounce Hamburger Steak slow cooked with brown gravy. Hungry yet? Located in an old three-story brick building on Coffee Street in Andalusia, Big Mike’s Steakhouse serves up some amazing sandwiches, oyster dishes, and, of course, steak. Start with some truly amazing sweet but spicy Wickles Fried Pickles, or an order of deep-fried button mushrooms. Then, sink your teeth into a 14-ounce Three Notch New York Strip steak, good old Southern shrimp or crawfish Po’ Boy, a “Sweet Water Stack” of fresh crab cakes served over fried green tomatoes and drizzled with remoulade, or maybe oysters chargrilled over an open flame. Anything you choose, it’s the best!